Your pet is safe with us because we follow the recommendations of the American Academy of Feline Practitioners and the American Animal Hospital Association for all of your pets vaccinations. It can be difficult to determine the correct course of action when it comes to vaccinating your pet as there are several vaccines out there. Vaccines are highly important for both dogs and cats as it helps to build there immune system. 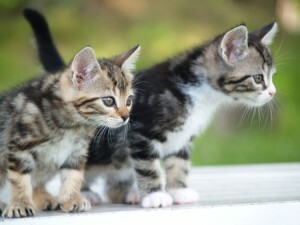 Puppies/kittens immune system isn’t mature and they rely on there mothers milk (Colostrum), which helps provide antibodies to help fight off minor problems. As the puppies and kittens are growing there mothers Colostrum levels are depleting and to help provide further protection vaccines should be administered. Puppies and kittens should have there first vaccination at 6-8 weeks of age. There second vaccine should happen at 9-11 weeks of age with there third booster at 12-16 weeks of age. 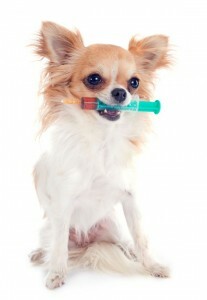 All pets should receive core vaccines. Eve n indoor only pets should receive proper vaccines due to potential health risks as well as legal consequences if an un-vaccinated animal where to bite someone. If you have any further questions regarding Vaccines please don’t hesitate to contact us or Book An Appointment for a consultation with one of our Veterinarians. The veterinarians at Granada Veterinary Clinic will develop a suitable vaccine schedule for your pet.